The Fiery Whisk: Thank you Betty Crocker for recognizing me! 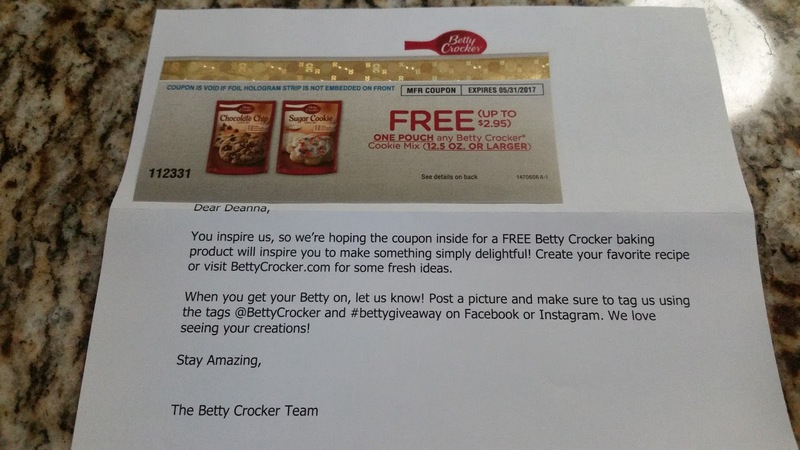 Thank you Betty Crocker for recognizing me! 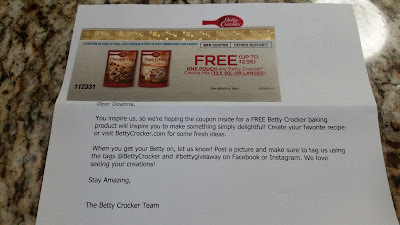 I am truly honored that Betty Crocker recognized me and sent this letter and coupon in the mail! I am unsure as to how they got my name and address, but that is OK with me! Just in case you are unaware, I am a published author. I have two novels published and just completed my third. Each novel has recipes published at the end! There is always a thread of cooking and baking through each of my books. What's next, you might ask....well....I am working on a Comfort Food Cookbook! I am excited about this cookbook as each recipe tells a story. That is all I can say without giving too much away. I promise to keep you posted on the progress!